Backing up your computer files is one of life's lessons that you have to learn the hard way. You start out thinking that your expensive new computer will be just as reliable as your TV or stereo. They've been humming along for 10 or 20 years, why should you expect the computer to break down? Believe me, it will break. And it won't be pleasant. When it happened to me, I lost family photos, videos and documents that will never be replaced. Now we have the option of making cloud backups, and that makes our excuses more flimsy than they ever were. 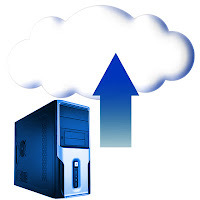 Cloud backups are easy, inexpensive and painless. And, unlike an external hard drive, your files are safe if your computer and backup drive get stolen or or destroyed. My article at MyWellBeing.com compares the two top cloud services for consumers: Moxy and Carbonite.